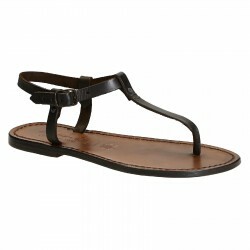 Handmade women's flip flops sandals made of genuine leather handcrafted by italian artisans. Vegetable tanned leather from italian tanneries. Flip-flops There are 89 products. Dark brown greased vachetta leather strings slippers with leather sole handmade in Italy without the use of foreign labor or child, but by experts in the best tradition of craftsmanship. Orange greased vachetta leather strings slippers with leather sole handmade in Italy without the use of foreign labor or child, but by experts in the best tradition of craftsmanship. Natural cuir greased vachetta leather strings slippers with leather sole handmade in Italy without the use of foreign labor or child, but by experts in the best tradition of craftsmanship. 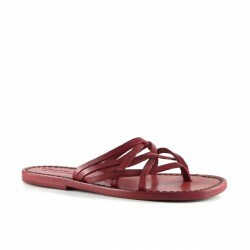 Red greased vachetta leather strings slippers with leather sole handmade in Italy without the use of foreign labor or child, but by experts in the best tradition of craftsmanship. Dark green greased vachetta leather strings slippers with leather sole handmade in Italy without the use of foreign labor or child, but by experts in the best tradition of craftsmanship. Black greased vachetta leather strings slippers with leather sole handmade in Italy without the use of foreign labor or child, but by experts in the best tradition of craftsmanship. 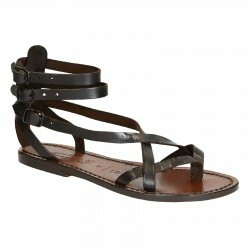 Dark brown greased vachetta leather gladiator strappy sandals with leather sole handmade in Italy without the use of foreign labor or child, but by experts in the best tradition of craftsmanship. 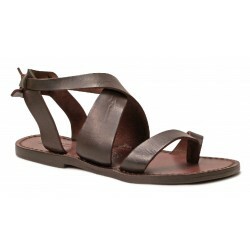 Dark brown greased vachetta leather thong sandals with leather sole handmade in Italy without the use of foreign labor or child, but by experts in the best tradition of craftsmanship. 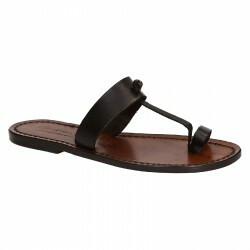 Silver laminated vachetta leather strings sandals with leather sole handmade in Italy without the use of foreign labor or child, but by experts in the best tradition of craftsmanship.